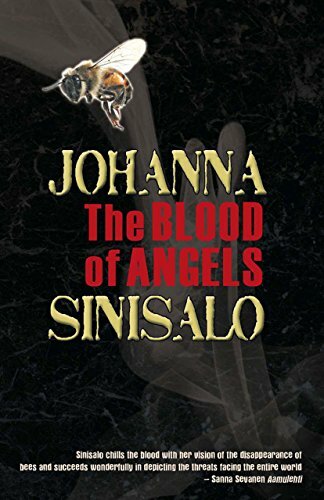 "Another haunting novel of eco-speculation from Johanna Sinisalo, the award-winning author of Troll and a powerhouse of the Finnish science fiction and fantasy scene. It is claimed Albert Einstein said that if bees disappear from the earth, mankind has four years left. When bee-vanishings of unprecedented scale hit the United States, Orvo, a Finnish beekeeper, knows all too well where it will lead. And when he sees the queen dead in his hives one day, it's clear the epidemic has spread to Europe, and the world is coming to an end. Orvo's special knowledge of bees just may enable him to glimpse a solution to catastrophe: he takes a desperate step onto a path where only he and the bees know the way but it propels him into conflict with his estranged, but much-loved son, a committed animal activist. A magical plunge into the myth of death and immortality, this is a tale of human blindness in the face of devastation—and the inevitable."